What’s for breakfast at your house? 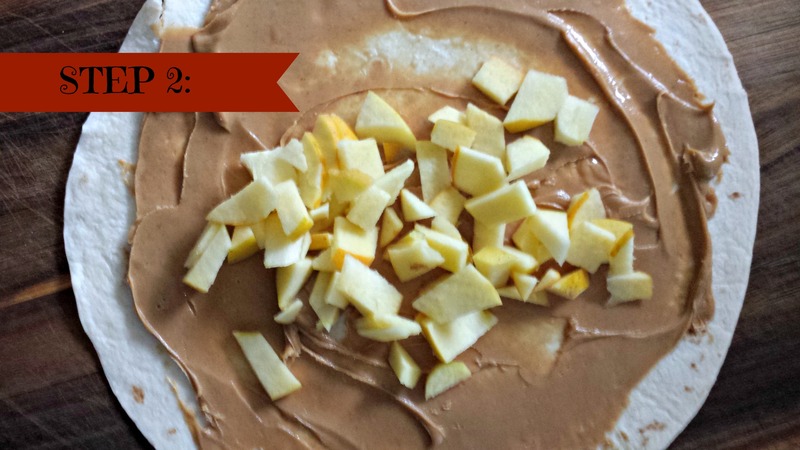 1) Take tortilla and spread your peanut butter of choice all over in a thin layer 2) Chop up apples in small dice and add to center of burrito 3) Add granola. If in big chucks, try to break it up a bit so the roll-up will…..roll. 4) Add honey if desired. 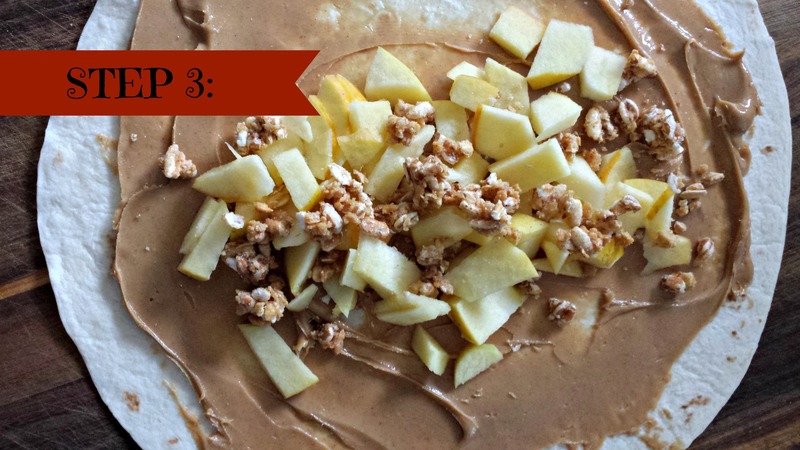 *We mostly do this when it’s a non-sweetened peanut butter or if the apple is on the tart side. 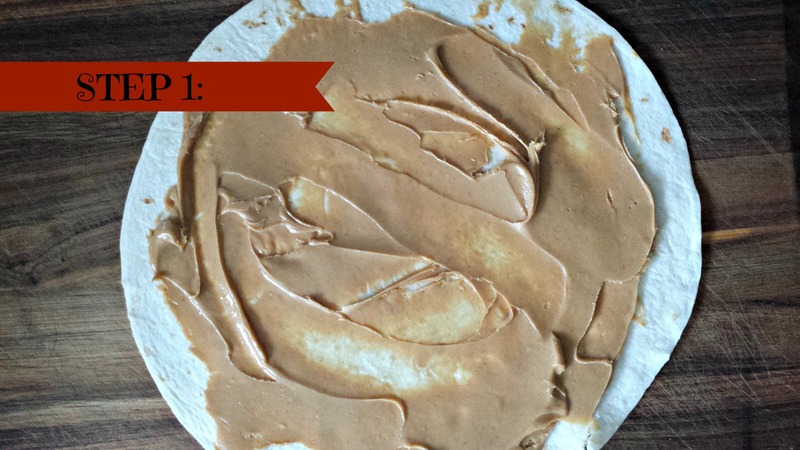 5) Roll up burrito style and cut in two. 6) ENJOY! What’s your families favorite breakfast? YUM! That looks delicious! Thanks for sharing. Please let us know if you try them, and how it turned out. Thanks for your comment! Kirstin, That must be because you have girls. My oldest is not at all interested in the kitchen (he better find a wife that likes to cook or they might need a big eating out budget). My youngest does, but he doesn’t have the time in the morning. It takes him FOREVER to get going. I still make them breakfast. Is that sad? Those look so good! I bet my picky toddler would happily eat breakfast with these! They are super easy to accommodate to taste so hopefully your little one will love them. Thanks for stopping by. 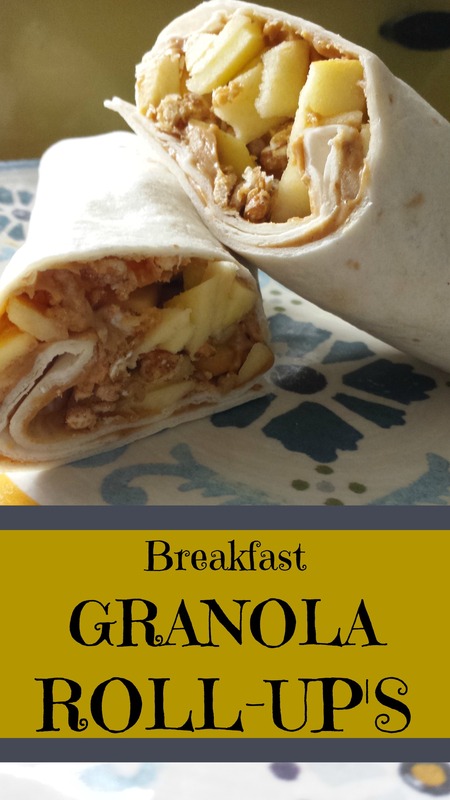 I like the granola roll up idea. I don’t have a schedule, but we have lots of cereal and I freeze homemade waffles and pancakes for them to grab too. My kids are older, so they like to have control over what they eat in the mornings….I just provide them with the choices…lol. Hahaha, my kids are older too. They have an assortment of cereals and we do have rotations but it helps streamline breakfast time and helps for shopping purposes. Thanks so much for stopping by! Kim, Thanks for stopping by. I hope you enjoy these! These sound delicious! Can’t believe I never thought of doing this! I’m definitely trying these! We hope you found a few you enjoy! This is awesome. How did I miss it before? . I’m making these for sure. Oh, I;m so glad Debi. They are tasty. Let me know if you try and how it goes.